Historically, Gyeongju should be on a par with Kyoto or Nara. Gyeongju was a formal capital of Korea. Unfortunately, time hasn’t been so kind to the temples and palaces of Gyeongju as it has been to the former capitals of Japan. Centuries of war have left few intact historic structures. In addition to a top-notch museum of Korean history (one of the best I’ve seen on my trip), the most significant features in the city are the burial mounds. 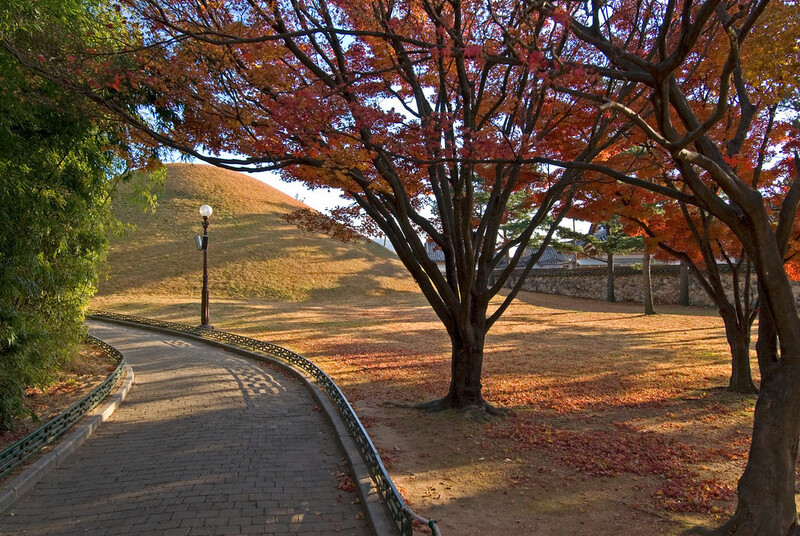 You can find them all over town, including the burial mounds of kings of the Silla Dynasty. Also within a short driving distance of Gyeongju is the Seokguram Grotto and Bulguksa Temple World Heritage Site. 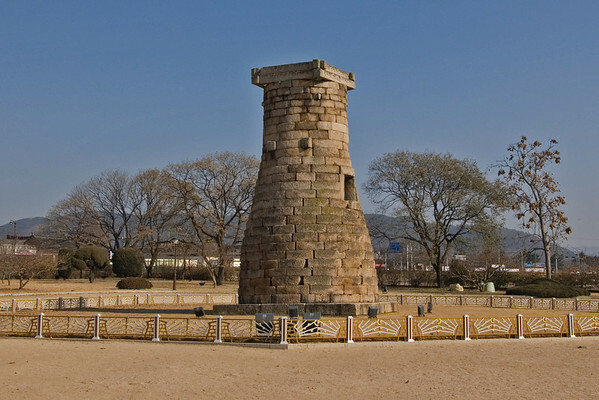 The Gyeongju Historic Area was inscribed as a UNESCO World Heritage Site in 2000. It is located in the Republic of Korea and was designated as a Cultural site. This is a large property that encompasses a number of structures and buildings including temples and palace ruins, statuary, pagodas, and other cultural artifacts that are linked to the Silla Kingdom. 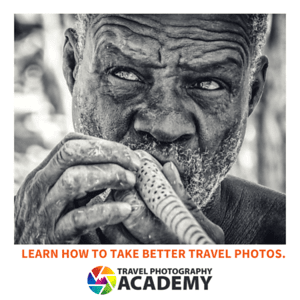 It is also recognized as one of the world’s largest outdoor museum due to the rich array of historical and cultural artifacts. The sites and properties included within the Gyeongju Historic Area are organized into five main belts. Each of these belts represents the different properties and structures that were listed under the UNESCO World Heritage Site. Mount Namsan Belt: The Mount Namsan is the focal landmark within this area. This mountain is considered a sacred place for the people of the Silla Kingdom. In addition, there were also several artifacts and relics that relate to Shamanism that had been found in the area prior to the introduction of Buddhism in Korea. These artifacts include temples, stone statues, stone lanterns and stone pagodas. Other important sites within the Namsan Belt include the Namsan Mountain Fortress, Seochulji Pond, and the Poseokjeong Pavilion site. Wolseong Belt: The ruins of Banwolseong, also known as the Half Moon Palace or Fortress, is the main feature within this portion of the Gyeongju Historic Area. This is also where you will find the famous Cheomseongdae Observatory. Other notable attractions within the Wolseong Belt are the Gyerim forest, Imhaejeon Palace ruins and the ruins of the pavilion with an overlooking view of the Anapji Pond. 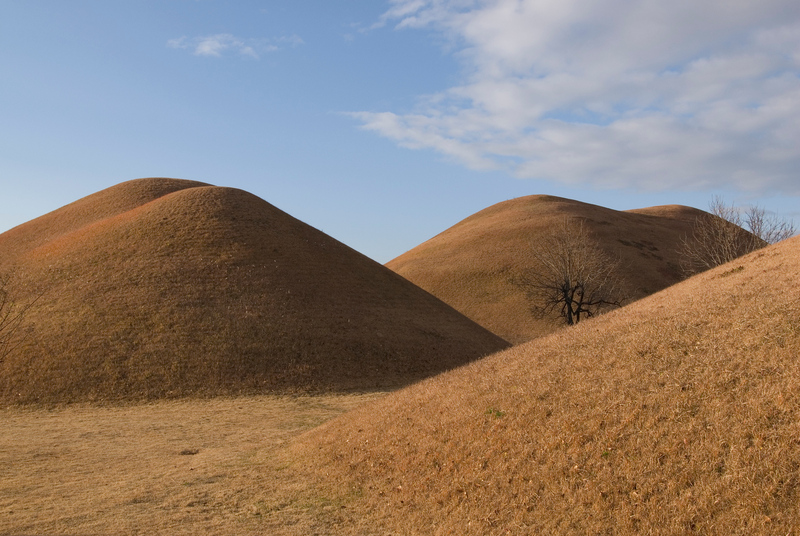 Tumuli Park Belt: The three groups of royal tombs are the highlight of this particular belt in Gyeongju Historic Area. 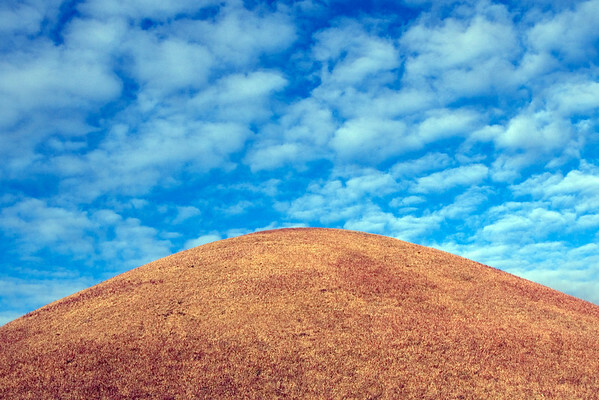 The royal tombs, also known as tumuli, are shaped like domes or mounds on earth. When excavated, some of these tombs reveal wooden coffins with some consisting of gold, glass, and ceramics. Hwangnyongsa Belt: This particular belt within the historic area of Gyeongju is centered on the ruins of Hwangnyongsa Temple and Bunhwangsa Temple. When the site was excavated and scientists uncovered foundation stones, it was revealed that the Hwangnyongsa was Korea’s largest temple. Meanwhile, what is left of the Bunhwagsa Temple today is only a fraction of its actual size. Sanseong Belt: This is the final belt that comprises the Gyeongju Historic Area in South Korea. The property is hinged on the primary attraction, which is the ruins of the Myeonghwal mountain fortress also known as the Myeonghwal Sanseong. This fortress is located on a top Mount Myeonghwal.